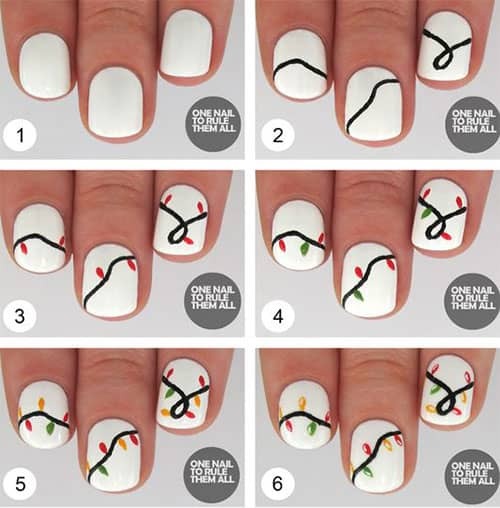 It’s that time of the year to be thinking about your holiday nails. 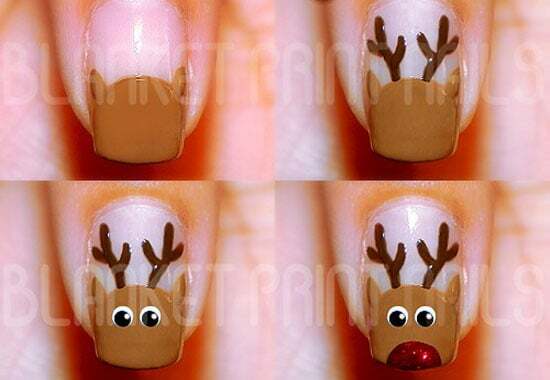 Skip the nail spa and try out one of these 8 festive nail art tutorials at home. 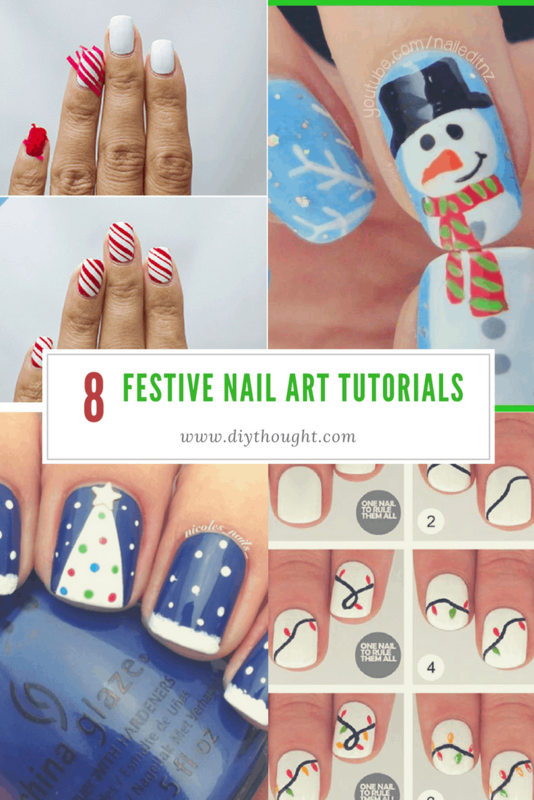 The best thing about these festive nail art tutorials is that they are all fairly simple to recreate! This Ruldolf nail couldn’t possibly get any cuter! Source found here. Even the most challenged can recreate this glitter nail look. 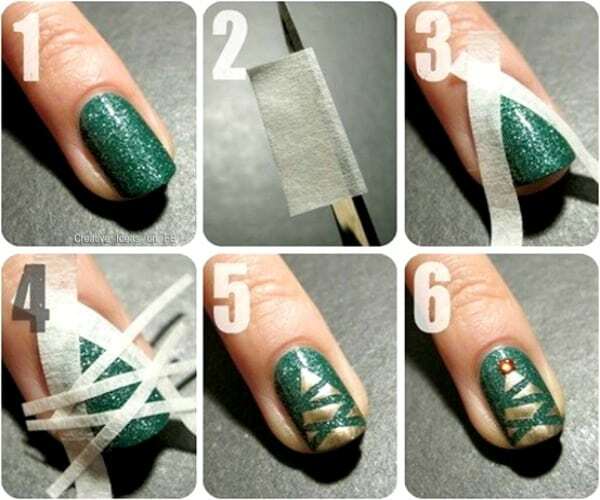 The snowman is fairly straightforward and a bobby pin or toothpick can be used if you don’t have a dotting tool. Source found here. It looks so complicated yet it’s so simple! This Christmas tree design can be done in any color combination. Click here to get the full tutorial. 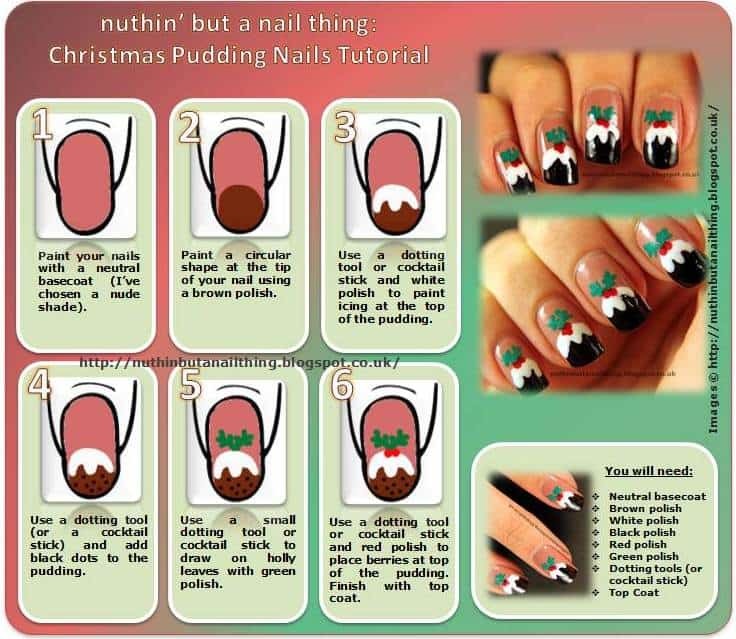 These nails might make you hungry each time you look at them but they are guaranteed to bring plenty of Christmas cheer. Follow this link to read the full tutorial. There is no tutorial for this one but this is easy to achieve with a bobby pin and some nail tape. 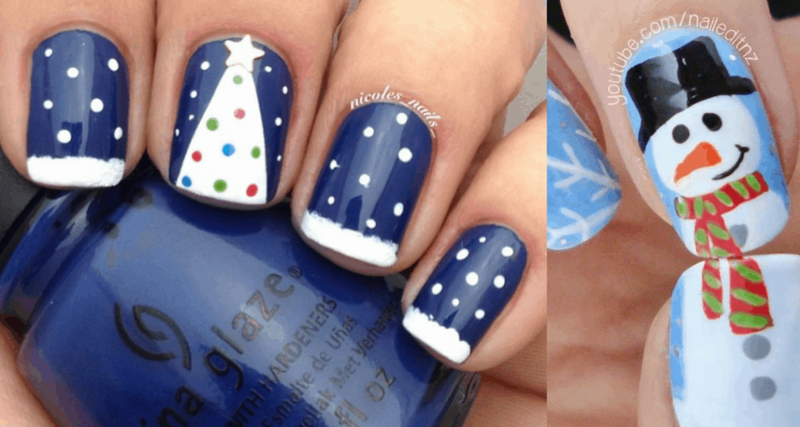 Paint a blue base, once dry paint on the while tips then add snowflakes using a bobby pin. For the tree tape a triangle shape then paint in white, wait for the tree to dry before adding the colored dots. Source found here. A very simple nail which looks stunning! Follow this link to get the full tutorial. 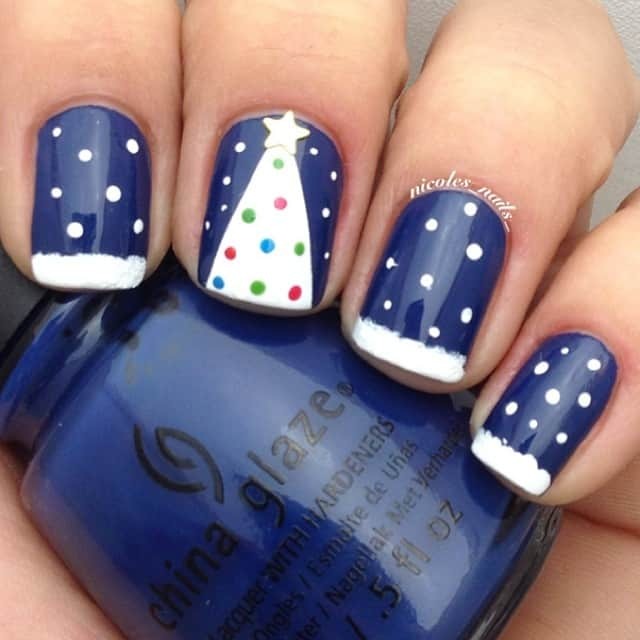 Very festive and super adorable. Easy to achieve with a thin brush, big bonus! Click here to view the full tutorial. This video provides fantastic step-by-step direction on how to create both the snowman and the snowflakes. Source found here.